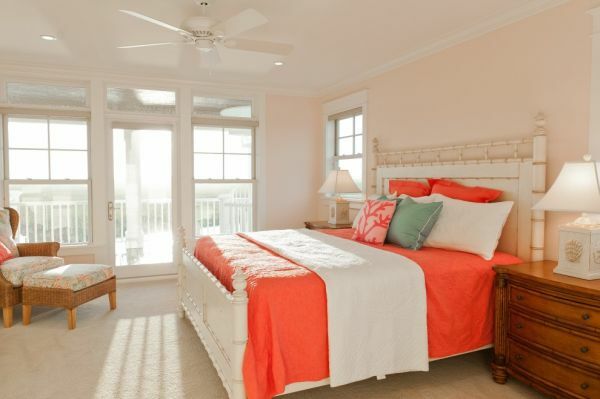 We love the fun and flirtatiousness of the lively and bright coral hues. And we love them paired with their softer sister, peach. Using this pair to accent any room is a good choice for revamping for the summer or just adding a bit of fun and spirit to your home. Using fresh florals, throw pillows or even curtains can lighten the mood and add fun bright spots to even your dullest of spots. Scroll along and take a peek at some wonderful ideas and inspiration.